Bhopal, Apr 14 (PTI) The absence of any discernible Narendra Modi wave and reversal of fortunes in the 2018 Assembly polls has put the BJP on the backfoot in Madhya Pradesh for the April-May Lok Sabha elections. The party had won 27 out of 29 parliamentary seats in the state in 2014, with only current chief minister Kamal Nath and senior leader Jyotiraditya Scindia managing to withstand the Modi wave in Chhindwara and Guna respectively. The poll picture seems hazy as of now, though the Congress seems to have its nose ahead if the data of the last Assembly polls is any indication. It is just a little over 100 days that the Kamal Nath government has been sworn in, so it is too early for it to start attracting anti-incumbency, party leaders said. The Assembly poll win has also invigorated Congress workers and the momentum is likely to be carried forward to the Lok Sabha elections. Secondly, the Congress is fancying its chances as it had polled more votes than the BJP in 12 Lok Sabha seats in the Assembly polls. For the BJP, the fact that it polled more votes than the Congress in 17 Lok Sabha seats might not be of much solace. The 12 constituencies where the Congress secured more votes than the BJP in the last Assembly elections are Morena, Bhind, Gwalior, Mandla, Chhindwara, Rajgarh, Dewas, Ratlam, Dhar, Khargone, Khandwa and Betul, as per data from the Election Commission and other sources. Interestingly, in Guna constituency, which the Congress managed to hold on to despite the Modi wave in 2014, the party polled less votes than the BJP in the 2018 Assembly polls. The Congress, which was out of power in the state since 2003 managed to unseat the Shivraj Singh Chouhan government in the Assembly polls in November last year, winning 114 seats against the BJP's 109. 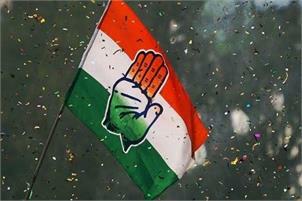 However, the BJP believes the Assembly results will not cast a shadow on the Lok Sabha polls. State BJP spokesperson Rajnish Agrawal said the saffron party would retain 27 seats, arguing that people vote differently during Assembly and general elections. "People are excited and waiting to re-elect Narendra Modiji as the Prime Minister. We are expecting to win more than 27 seats in MP," Agrawal said. His confidence is anchored in the BJP's performance in the 17 Lok Sabha seats where the saffron party garnered more votes than Congress candidates in the Assembly polls. These seats are Guna, Sagar, Tikamgarh, Damoh, Khajuraho, Satna, Rewa, Sidhi, Shahdol, Jabalpur, Balaghat, Hoshangabad, Vidisha, Bhopal, Ujjain, Mandsaur and Indore. Voting will be held in four phases in Madhya Pradesh beginning April 29.